First released as an Art image (is that a Pac-Man in the remnant craterform to the left? ), this VIS image contains many interesting features. 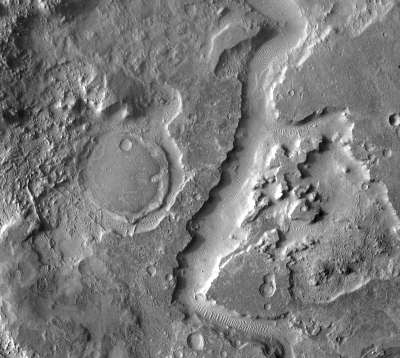 The "Pac-Man" shows that layering occurs in the region, with the different layers eroding at different rates. 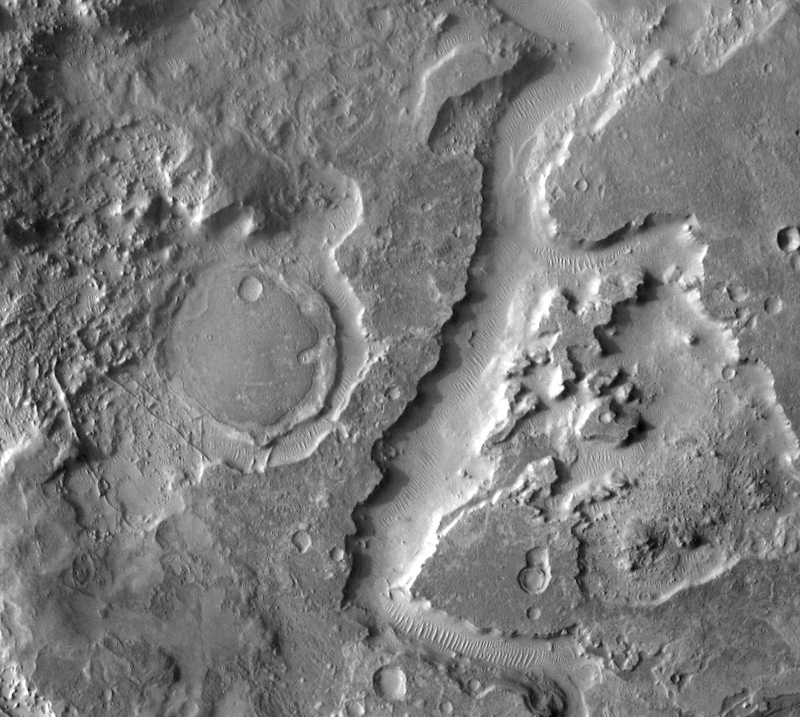 Immediately south of "Pac-Man" are several fine scale ridges. Dunes are located within the channels to the right.